Send your message to the future with our archival stationery - let your creative juices go to work! Printed on a special, warm cream colored paper that is 25% cotton, archival and permanent, this special stationery is high quality and lets the recipient know it as he reads your message. The size is a standard 8.5x11" and weight is 24-lb. 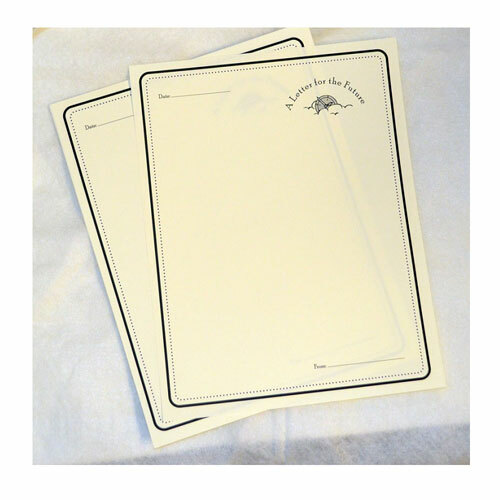 These special Letter to the Future Archival Paper Stationery Sheets help those tasked with writing letters for your time capsule's posterity! The pleasing color of the paper matches the #10 envelope as well as the 9x12 envelopes (envelopes sold separately). 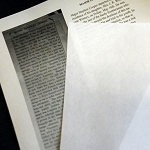 Matching (un-printed) plain sheets are also available, in case your message goes longer than one page. Ships promptly! 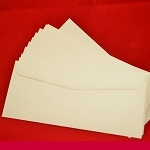 Buy archival #10 envelopes - safe for long term storage!